For some of us, however, one old-school technology is still holding its own and fending off the wave of competition from the new kids on the block: the lantern mantle. In this article, we’re going to take you through all the ins and outs of the lantern mantle, starting off with a few insights into its utility and how it compares to other light sources before delving into the nitty-gritty of how they’re used and addressing any health and safety concerns of would-be users. 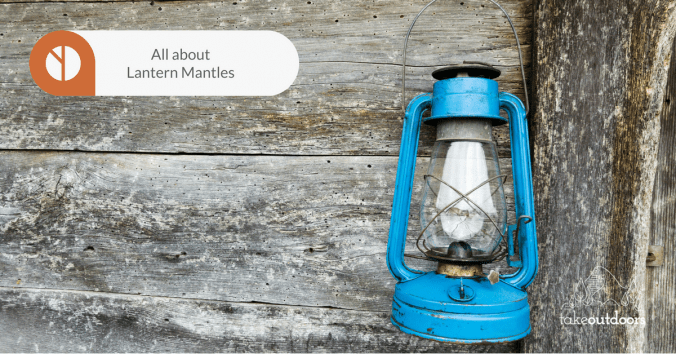 What is a Lantern Mantle? Which Size/Output do I Need? What are the Most Popular Brands for Lantern Mantles? What are the Best Lantern Mantles Out There in 2018? Safety Concerns: Are Lantern Mantles a Health Hazard? In a nutshell, a lantern mantle is a device used to generate bright white light when heated by a flame. Browse any sepia-toned snaps of the campsites of mountain-goers of yore, and you’re sure to see one. 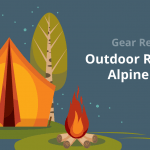 In the camping world, this all-time favorite of backcountry traditionalists is now making something of a comeback thanks to a growing number of budding revivalists who have discovered its undoubted utility as a low-cost, low-maintenance, and highly potent bringer-of-light. What’s the difference between a “lantern mantle” and a “mantle”? Well, the lingo is often confusing. The term “lantern mantle” is used fairly indiscriminately online to refer to both the lantern which sits on top of the fuel source (usually a gas canister) and the “mantle” itself, which is in fact the fabric sock or bulb which is placed inside the lamp and produces the lantern’s bright white light when burned. For our purposes, we will use the term to refer to both pieces of equipment used in unison. Anyone who spends a lot of nights out in the wild or car camping could benefit from adding a lantern mantle to their kit. While more modern equivalents such as headlamps or battery-powered flashlights do essentially the same job, those plumping for lantern mantles do so on account of a number of highly desirable benefits, which you’ll find in the review below. Below, we offer a summary of these common lantern types and the lowdown on what they do well and what they do not so well compared to competitors. Traditional fuel-burning lantern mantles can be can be powered by one of three main fuel types: liquid fuel, propane, or butane. These fuel sources are used in conjunction with either clip or tie-on mantle socks (sometimes called “bulbs”), which are affixed directly to the lantern’s nozzle. Most lantern mantles have a glass or steel mesh surround to reduce the risk of burning and/or fire. The fact that they look, quite frankly, very cool and can earn any user major kudos among camping companions! 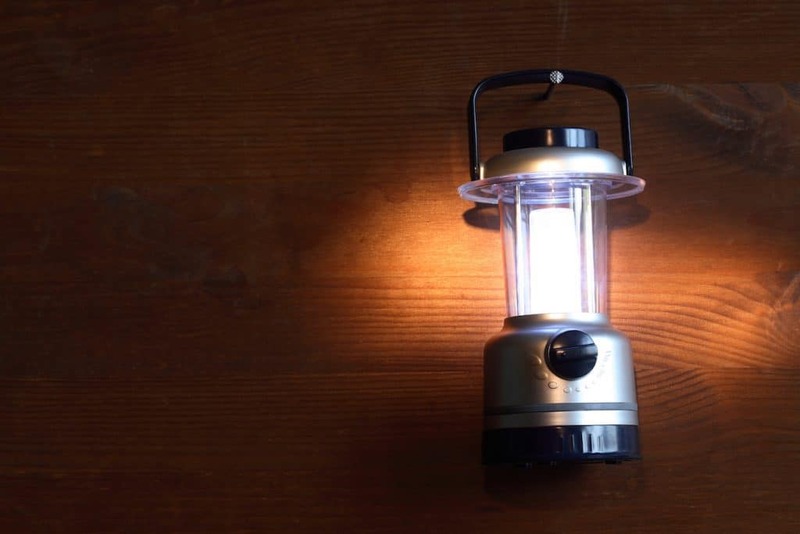 Battery-powered lanterns are simple, relatively lightweight and, thanks to advances in LED technologies, offer decent light output and competitive running time. Candle lanterns use one or more candles to provide soft, natural light. As with many lantern mantles, they are usually used with a glass casing to minimize the risks posed by a naked flame and optional reflectors can be added to enhance their otherwise limited light output. Silver lining: light output so weak that it probably won’t obstruct your view of the stars! Different scenarios call for different lighting solutions, and each of us has our own personal tastes and quirks when it comes to how we do things when out getting our hike on. 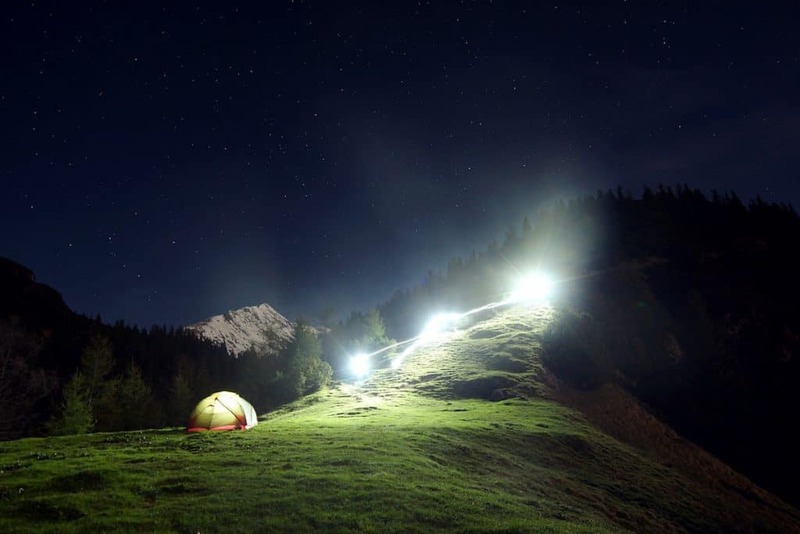 As such, there is no right or wrong way to illuminate your tent or campsite, just a variety of options whose utility will ultimately come down to which is more efficient or suitable to your needs and preferences. Those who have camped in large groups will know the frustrations caused by multiple headlamps’ focused glares flashing into your eyes one moment and then leaving you in almost complete darkness the next. Due to their powerful and dispersed output, lantern mantles offer a more group-friendly light source which can help to avoid the above hassles (and perhaps also avert the odd campsite squabble) and a convenient solution for those sharing a communal camping area. By placing the lantern at the center of this area, you can provide sufficient light for everyone and also do so in a way that limits any risk posed to your kids, such as placing a small ring of rocks around the lantern or placing it on a tree stump or table, where it will be out of reach. “But what if I’m a solo camper?” you may ask. For solo campers, a lantern mantle may prove to be overkill unless you really aren’t a fan of the dark or are especially keen on the idea of being spotted by passing satellites(!). 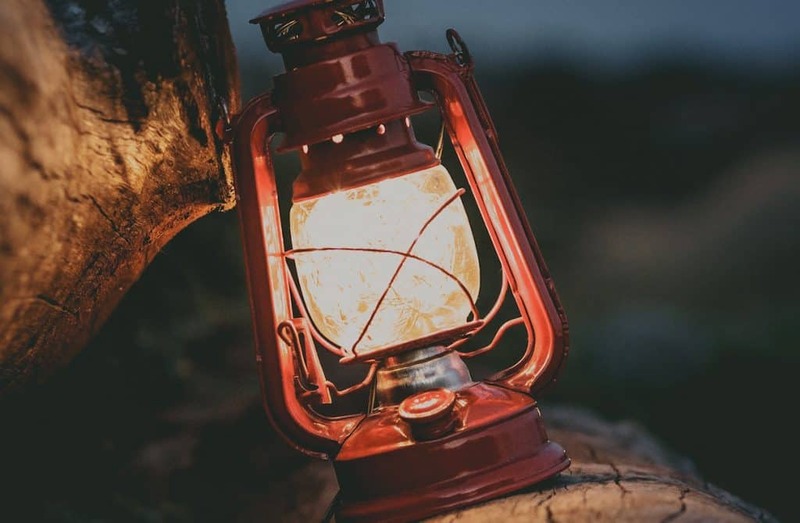 A candle lantern is certainly an option for solo campers, but is a less practical and convenient choice than a standard headlamp — unless, of course, you have romantic visions of scribbling poetry under your candle’s gently flickering flame! Traditional lantern mantle socks or bulbs in themselves are very lightweight and compact. 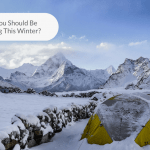 Even if you are headed into the wild for a week or more, carrying one mantle for each night of your trip won’t weigh you down with more than a solitary ounce or two. The lantern itself may weight anywhere between two and five pounds. Your fuel source (usually gas canisters) may add another four or five pounds on top of that… yikes! 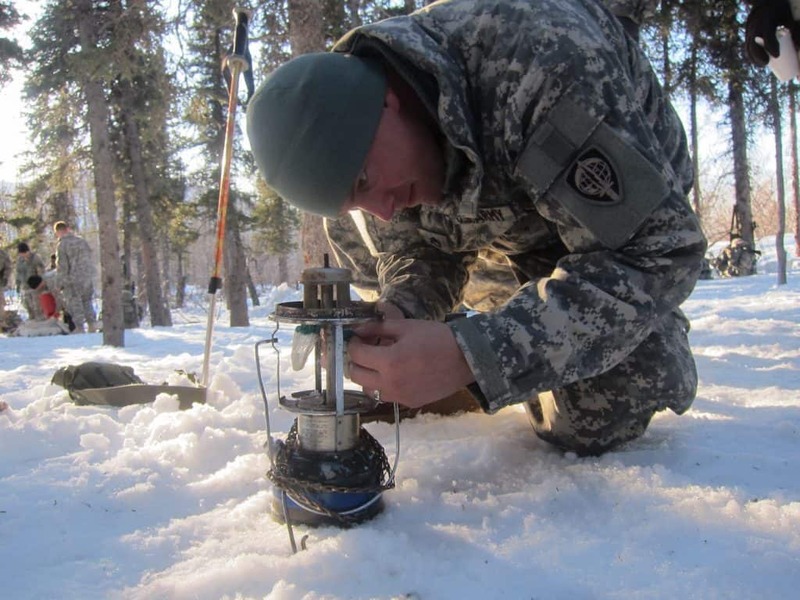 While the temptation may be to think that you’re taking gas along to cook with in any case (and thus needn’t worry about the additional weight required for lighting) it’s worth remembering that there will be very little left to cook with if you are running your lantern on the same canister/supply! 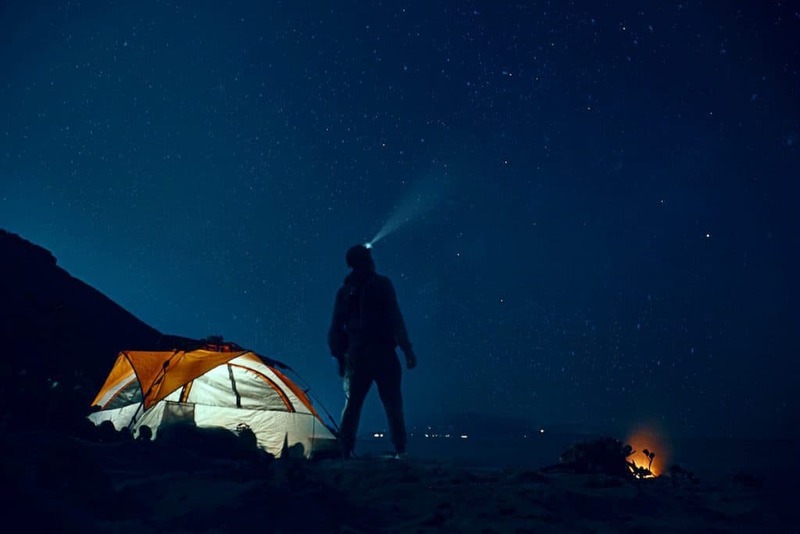 For thru-trekkers or those who are simply painstaking gram-counters when it comes to camping gear, more weight-friendly light sources such as a headlamp may well be the most attractive and suitable option. 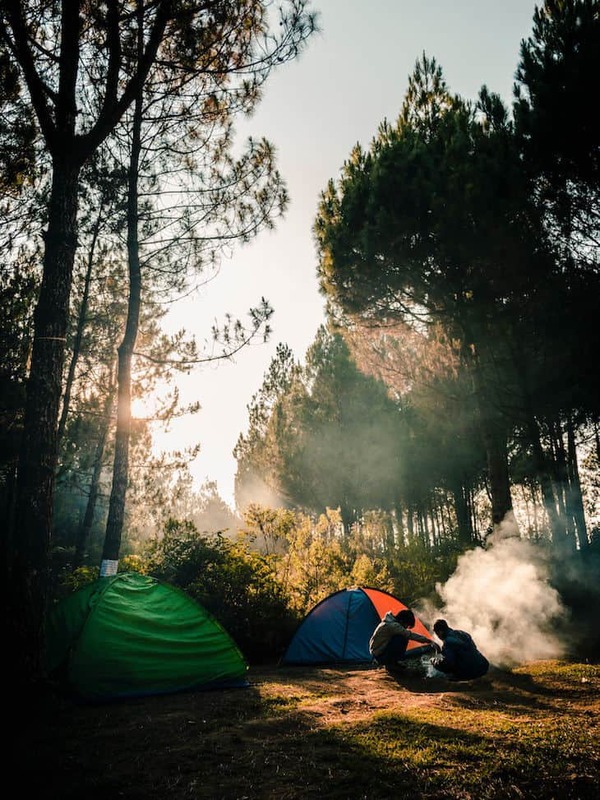 If, however, you are car-camping, pitching your tent a short distance from the trailhead, or just happen to prefer a lavish supply of light, then a weightier fuel-burning lantern becomes more feasible and a justifiable luxury. 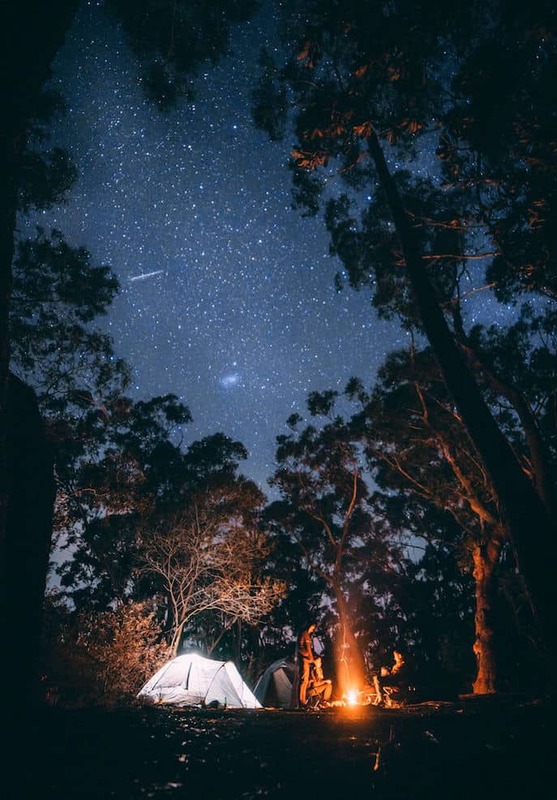 If camping alone or in a group of adults, then the risks posed by using either a fuel-fed lantern mantle or a candle lantern become minimal. Making your group aware of the lantern’s fuel source should be enough to have them tread carefully and avoid any inadvertent mishaps. Reason #1: There’s an open flame (well, nearly open — the presence of the glass casing on most lanterns conceals the flame to a certain extent). Reason #2: Even if your kids happen to be marvels of obedience and common sense, many parents may object to the presence of a fuel-burning light source for the sole reason that a naked flame in their vicinity will all but rule out the possibility of any peace of mind and leave them on edge until you turn in for the night (and for some even then the worry is sure to continue!). Bonus tip: The above also applies should any members of your group happen to be of a particularly careless or whisky-loving (!) disposition, or have something of a penchant for arson — if you’re determined to take your lantern mantle or candle lantern with you, then you might have to leave these guys at home! ‘Burn time’ refers to the duration of illumination provided by any given light source. For many campers, the prospect of having to change either the fuel type (i.e. batteries, gas, or liquid fuel) or the conduit (i.e. the bulb or mantle) can seriously detract from a lantern or lamp’s appeal. The table below uses a middle-of-the-road example from each type of light source to give you an idea of how each performs in terms of cost, weight, burn time, and output. 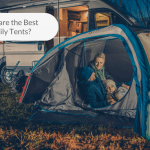 While it may seem intuitive to believe the size of your tent may be a contributing factor, it’s worth noting that even the largest of tents can be adequately lit with even the smallest of mantles*. Lantern mantles come into their own in group camping sites where a larger area needs to be lit. 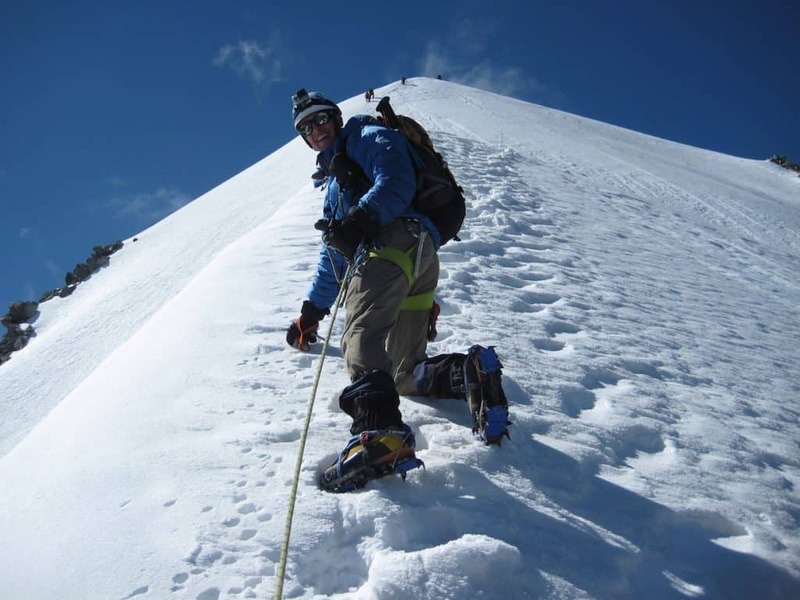 In this case, a larger lantern — used in conjunction with a larger canister — will provide far more illumination than your average headlamp, torch, or even battery-powered lantern. With regard to duration, most mid-range lanterns (with a max output in the 500 lumens range) will run on a single 7 oz canister of butane for around 4-6 hours (slightly less for propane). * For health and safety reasons, using a lantern mantle inside a tent is not advisable unless adequate ventilation and steady air-flow are ensured by opening door flaps and air vents. A lumen is a unit of measurement that indicates the visible light output of a light source. What the heck, you might ask, is a “footcandle” (or “foot-candle”)? A “foot-candle” is a unit of measure for quantifying the intensity of light falling on an object. A “lumen” is a unit of measure for quantifying the amount of light energy emitted by a light source. In other words, foot-candles measure the brightness of the light at the illuminated object, while lumens measure the power of the light radiated by the light source. Given the above, we can easily determine the quality or strength of that light at the illuminated object using varying lumens outputs. First off, buy the right shape and size of mantle for your lantern — very few frustrations compare to pitching up in the dark middle in the of nowhere only to discover you’re proposed light source is all but useless. When you see your mantle is broken, torn or burnt out, remove it carefully when cool by cutting or unclipping the attachment, first making sure that the fuel source is turned off. Note: even slightly torn mantles can become dangerous as these tear-spots become a concentrated heat spot which can cause the glass casing to shatter. Clip or tie your new mantle onto your lantern’s nozzle, cutting off excess string if you are using a tie-on mantle. Give the material at the bottom of the mantle sock a gentle tug to open up the fabric until it has a bulb-like shape. Before igniting your lantern, take a long match or lighter and burn the mantle until has shrunk into a white ash bulb around half of its original size. Warning: do not undertake this step in an enclosed space as the burnt bulb/sock will smolder and give off fumes. Return the glass cover (and lid, if you have one) to your lantern, taking particular care not to touch the now very fragile mantle sock/bulb. Turn on the fuel source at low output. Light the lantern with a long match or push-button ignition if you have one. At present, camping brands Coleman and Campingaz have something of a monopoly over the fuel-burning lantern market, although Swedish brand Primus also produce a range of very popular, reliable, and well-made products. Although many cheaper and/or unbranded options exist, due to the potential health hazards entailed in lantern use we’d highly recommend opting for a certified, “tried and tested” brand. In short: if it’s got flames coming out of it, it’s best to buy the best you can buy! As mentioned above, the ideal lantern for your outdoor adventures will depend largely on your own preferences and needs. Are you a solo camper or group camper? 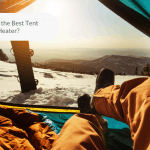 Will you be using it on multi-day treks or only single overnighters where weight is not an issue? Do you balk at the idea of having a naked flame in your living and sleeping area? If you choose to go down the fuel-burning path for your lighting needs, the decision-making process is simplified by differentiating between size, weight, output, and overall convenience. Smaller lanterns will offer fewer lumens but also consume less fuel (and thus prove lighter and cheaper over the long run). Larger lanterns will be greedy on the gas but offer a higher lumens output that might just save you carrying additional light sources if camping in a large group. 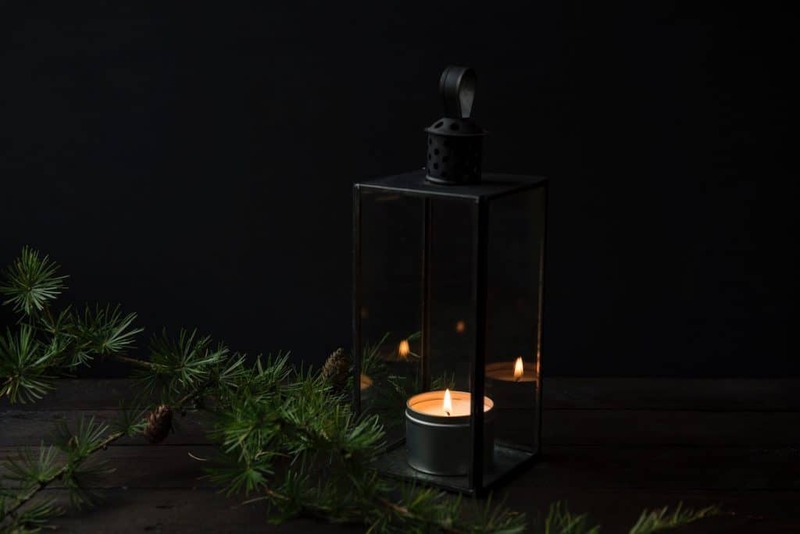 Below, we’ve selected our top picks currently available for both small and large groups to help you decide which lantern will be best for you. As the name suggests, the Campingaz 206L Lantern offers a very respectable output of 206 lumens, which should just about be enough to light a communal area of 25 or so square feet between tents. It also weighs in at a reasonable 16 oz and features a broad attachable base for extra stability, a steel surround on the glass casing to avoid breakage, a power regulator switch, and all-in-all offers great value for money. The Primus Micron Lantern is another solid option that ticks all the boxes for both solo campers and groups. This rugged little lantern uses an EasyTrigger ignition system that simplifies lighting in all conditions, weighs a tiny 4 ounces and can flood your campsite with up to 360 lumens on a high setting. Where the Micron differs from the other small-group lanterns is that it uses a tough steel mesh casing which is more likely to withstand the rough and tumble of long-distance backpacking than glass models. Burn time is also very high — roughly 8 hours on a medium setting with a 7 oz butane canister. Illuminating large areas or communal spaces is always a tricky proposition for those camping in large groups. The flitting beams of multiple headlamps can create a curiously strobe-like effect and often result in disgruntled companions when blinded by their harsh glare. Power-wise, headlamps also rarely offer enough “oomph” to illuminate large spaces when on flood or wide setting. Battery-powered lanterns usually go one of two ways: either they fail to provide enough light due to a lower lumens output or, owing to their unnatural light, make you feel like you’re about to be interrogated by the KGB, neither of which tend to feature high on most campers’ tick list of desirable qualities. Enter the Coleman Premium Dual Fuel Lantern, which is almost a dead-cert to provide the solution to your problems. 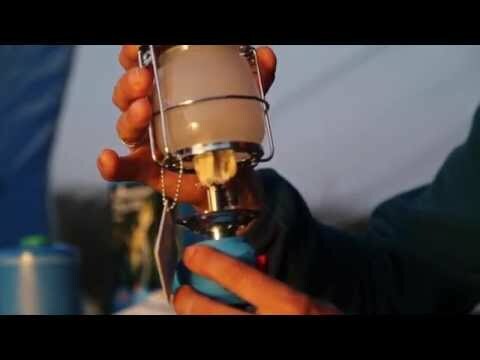 Offering up to 700 lumens on its “high” setting (output can be regulated) and running on Coleman Liquid Fuel or unleaded gasoline in conjunction with two Coleman String Tie #21 Mantles, this beast of a lantern has enough power to light up any campsite, is built to last, and provides a very cozy central focal point. A winner for those not overly concerned with cutting down on pack weight or bulk! For those in very large parties, the Powerhouse version of the same lantern offers a very similar set of specs but up to 100 extra lumens of light on a high setting, which makes it roughly equivalent to a 60-watt light bulb. Like its smaller sibling the Premium, the Powerhouse is not the cheapest option out there, but its durable, tough build means it will last you a lifetime if taken care of properly. For the more aesthetically inclined among you, the very eye-catching Campingaz Ambience Lantern might just win your vote. This shapely devil of a lantern looks as though whisked directly from Henry David Thoreau’s cabin at Walden and wouldn’t have looked out of place on the desk of Whitman or Wordsworth. It’s also pretty darn practical too, offering adjustable gas flow and flame height and a very healthy 300 lumens of warm, soft light. 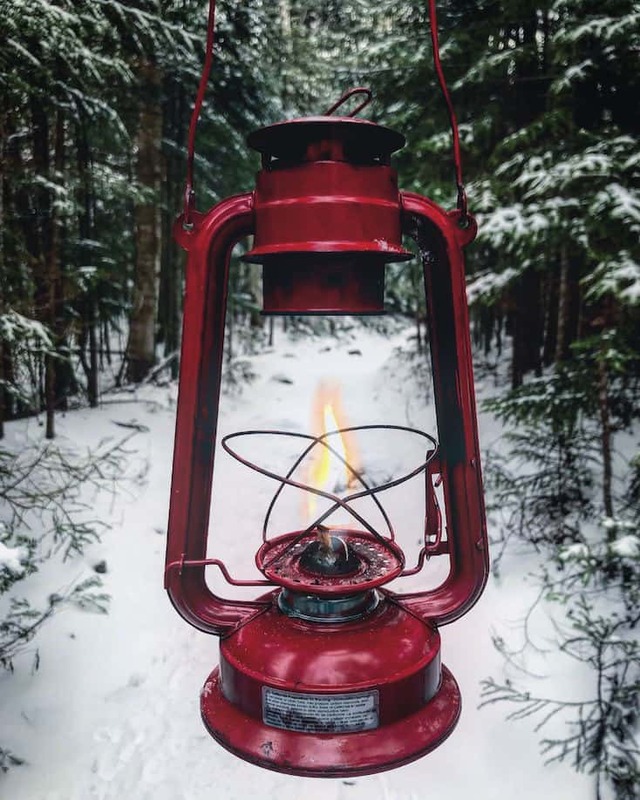 A number of articles have appeared in online and print publications citing the potential health hazards of using a lantern mantle when camping. While these articles do raise a very worthwhile and legitimate issue, we would labor to stress the point that these concerns and any incidents resulting from lantern mantle use were primarily due to misuse and, therefore, very much avoidable. A smaller number of concerns have been raised about another potential health risk posed by lantern mantles, namely radioactivity. These reports cite the presence of thorium dioxide, a chemical element which, until recently, was commonly used in many mantles owing to its ability to produce a very bright white flame when burned. In short, even if you did manage to get your hands on a mantle coated in thorium during the production process, you would need to be burning your mantles and handling the materials for months on end to put yourself at risk. Should you still have doubts concerning this issue, check the description or label of any mantle before buying. The lantern mantle is not ready to be consigned to the annals of history just yet! Providing a hearty whack of lumens, generous burn-time, and a soft, natural glow, mantle lanterns offer a very practical, reliable, and generally efficient alternative to more modern, battery-powered campsite light sources.